If you're an office manager or HR specialist, you already know that a desk job can be difficult for many people to handle. Not only do many people find it mundane, but it can also be hard on their health as well. Studies have continued to show that a sedentary lifestyle can lead to a number of health problems, including back problems, weight gain, cardiovascular issues, and even diabetes. There are ways that you can adjust your office to encourage a better work-life balance, better health, and greater happiness in the workplace, even if your staff is required to sit at desks for long periods of time. Here's some more information about improving health in the workplace, along with a few simple suggestions of how to boost daily morale. There are now many studies that show that sitting for long periods is bad for human health. This study, for instance, demonstrates that those who spend less time sitting have 54% less back and neck pain as well as better moods. And another suggests that those who sit for 10 hours each day are 2.5 times more likely to die early than those who sit for 6.5 hours a day. We often think of office space in terms of ergonomics, and it's true that it's essential for people to sit in the proper position in order to minimize general pain as well as repetitive stress injuries such as carpal tunnel. But it may be even more useful to encourage them to get up and move around for 15 minutes every hour or two or to even cut back workdays to 6 or 7 hours to minimize long periods of sitting. Almost all of the studies done on how a sedentary life is harmful agree that doing even small amounts of gentle exercise throughout the day can seriously improve the quality of life for desk job workers. Taking regular breaks may sound like a good thing in theory, but in practice, it may be frowned upon by managers or even other employees because it can cut through productivity. However, according to one study, replacing half an hour of sitting with a simple activity like walking has the potential to reduce the risk of serious cardiovascular disease by 24%. And office re-designs that support more dynamic, changing, and variable work styles can also help lessen both the physical and mental strain of desk-based isolation. Walk and talk meetings, standing desks, and merely having a variety of workspace configurations will all help workers to move around more frequently and naturally. Moving more affects not only our physical health but also our mental health. Still, for many desk workers, simply getting up to stretch our legs or speak with a colleague from time-to-time may not be enough. 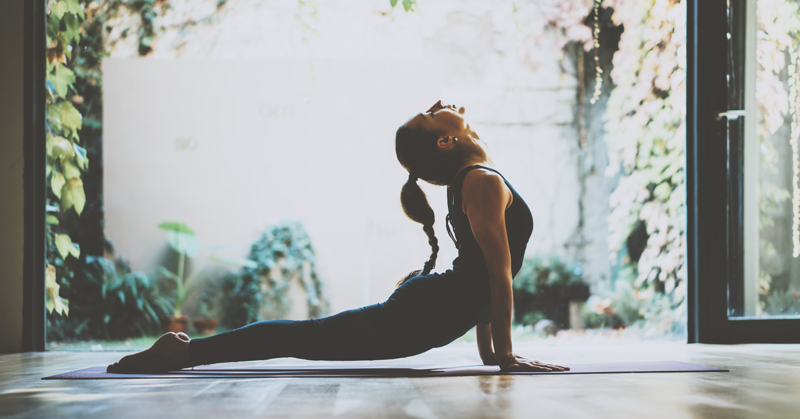 Regular, extended walk breaks or even lunchtime activities like yoga can go a long way when it comes to lowering stress levels and improving mental health. Artificial lighting and social isolation can impact our mental health significantly. Fresh air and natural sunlight, on the other hand, can work wonders. Any opportunity to get closer to nature will help with mental health. If employees have access to laptops, encourage them to work outside on a nice day or try to find alternative office spaces in another location that are located near windows that workers can use even for short periods or occasionally. Sitting in front of a screen every day with fluorescent lighting overhead is just plain bad for us. Not only can it encourage eye strain and even eye diseases, but there's also some evidence that it can lead to migraines, sleeping issues, depression, anxiety, endocrine disruption and more. And even if studies are not conclusive, it is vital that managers take employee feedback seriously when it comes to their health. If natural lighting isn’t readily available in certain areas, encourage employees to purchase alternative lighting of their choice, such as table lamps and even SAD lamps to lessen the incidence of depression caused by lack of sunlight. Have you ever considered adding standing or even treadmill desks as a part of your office space? While it may be a relatively large (and unnecessary) investment to order one per person, it’s not a bad idea to start with one and see how employees take to it. While some report that treadmill desks may not be great when it comes to productivity, there may not be any harm in just incorporating a treadmill in the office space. Whether it's a desk or not, you can encourage people to take regular walking breaks there, especially if your office is located in an area with winter weather conditions. Another suggestion is to motivate workers to use their walking time for listening-based educational work (podcasts and webinars) to ensure that they're staying in the "work" mindset, or even use the time to brainstorm projects. Desks that can adjust from a standing to a sitting position are another option, where introducing just one or two at first could go a long way to improving employee health and overall well-being. For the most part, today's modern office spaces are more open, light-filled, and more flexible than ever before. To make sure that your business is attracting the right talent, you must consider updating your office to mimic a more comfortable and less structured space than the traditional gloomy cubicle variety. Workers today want more movement and variety, and facilitating mobility and flexibility is truly the key to sustaining a diverse and dynamic workspace.